Bring well-loved nursery rhymes to life with these adorable felt pieces! 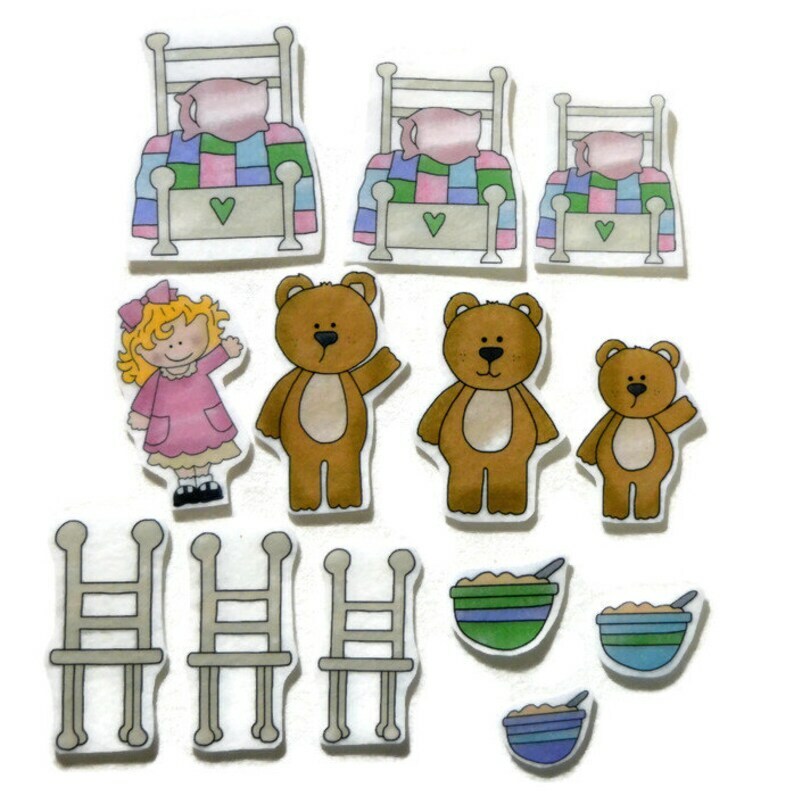 This Goldilocks and the Three Bears set includes 13 felt pieces for independent, quiet play or group activities. Very cute. Items as described. Pretty cute ! Although my grandson is too young for this. I just had to have it. Goldilocks and the 3 bears ! Can’t wait to tell this classic story with these cute cutouts. I love felt boards. The seller delivered on time even during the xmas rush.